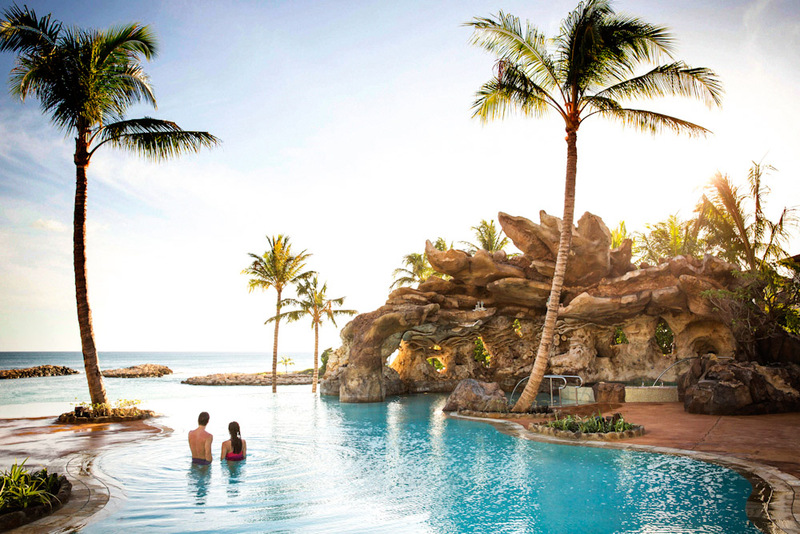 The glorious tropical surrounds of the Disney Resort & Spa in Hawaii (photo: Disney). Kids having fun at Aunty's Beach House, this Disney kids club combines Hawaiian culture with Disney fun (photo: Disney). A tropical Hawaiian sunset over the Disney Resort & Spa (photo: Disney). 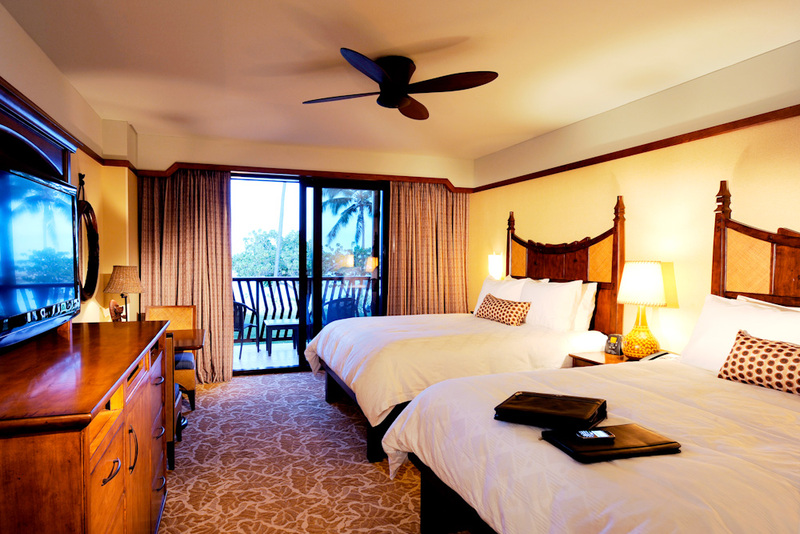 The spacious rooms with private balconies at Disney Resort & Spa in Hawaii (photo: Disney). The wonderful Infinity Pool at Disney Resort & Spa in Hawaii (photo: Disney). 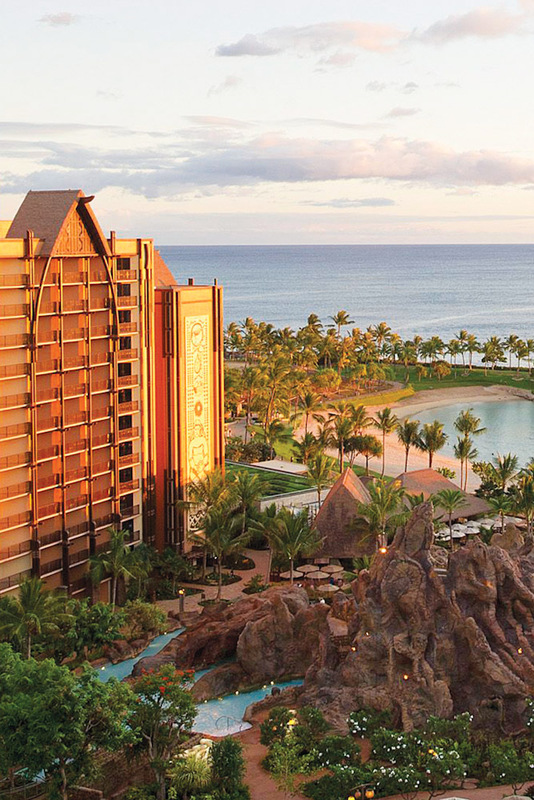 Discover a beachfront resort in Hawaii that offers up quintessential Disney experiences complete with swaying palm trees. 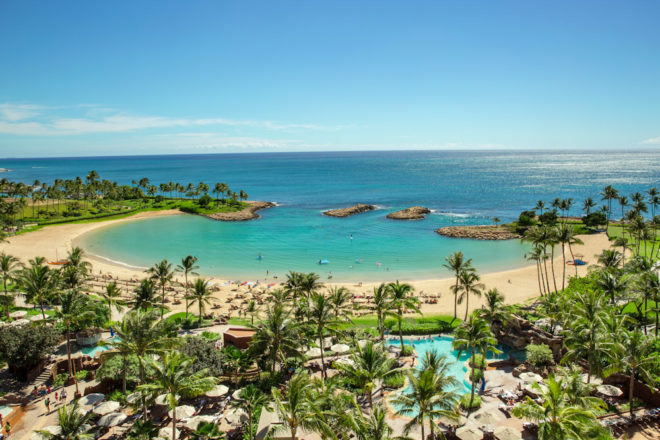 Sitting pretty on nearly 8.5 hectares of lush beachfront land on the west side of the Hawaiian island of O‘ahu, Aulani, A Disney Resort & Spa in Hawai‘i, gives families the chance to experience the best of Disney in tropical surrounds. A real best of both worlds proposition, Aulani has a little something for everyone, from a dedicated kids’ club with immersive supervised activities for kids aged from three to 12, to an award-winning Laniwai Spa catering to adults and teens with beauty and spa treatments, plus a hydrotherapy garden and fitness centre. There are also themed pool and water areas, the only private saltwater snorkelling lagoon on the island, and a choice of guided excursions. The resort has been designed so that families can get out from under each other’s feet and discover separate programs designed just for them. 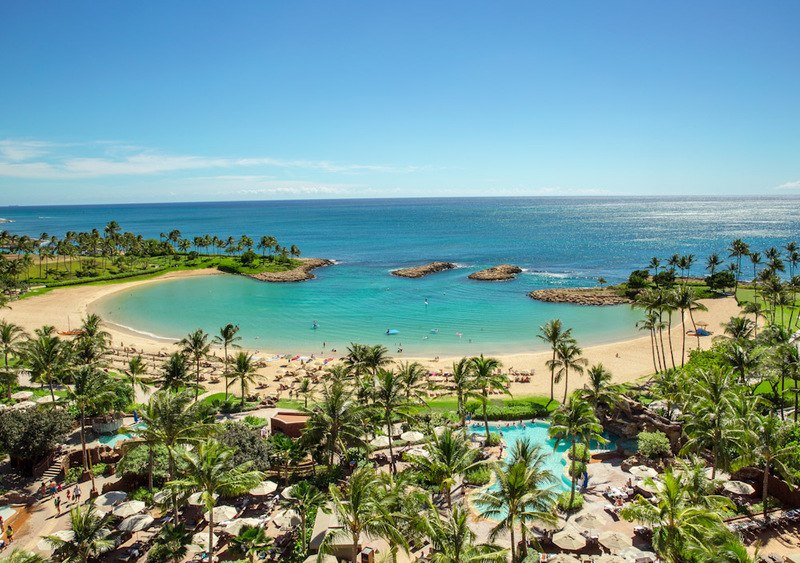 But what sets Aulani apart from any other resort on the island (apart from the fact that you are greeted at the door by Disney characters, of course) is the benefits included in your stay. Luxurious guest rooms (there are 351 guest rooms and suites, as well as 481 villas) designed with families in mind, featuring in-room refrigerator, private balcony or lanai, rain shower baths, free wi-fi and coffee makers. Pristine pools including a zero-entry, infinity-edge and adults-only pool, plus an interactive water zone including two waterslides, four whirlpool spas, tubing down a lazy river and kids’ splash area. Aunty’s Beach House Kids Club (ages three–12) with complimentary supervised programs including Disney fun and Hawaiian culture, art and music, along with special beach activities for teens. Family entertainment options including Disney Character greetings, themed pool parties, Hawaiian cultural experiences, fireside storytelling, ‘Ohana Disney Movie Nights on the lawn, and the Starlit Hui celebration featuring music, fire and dance! 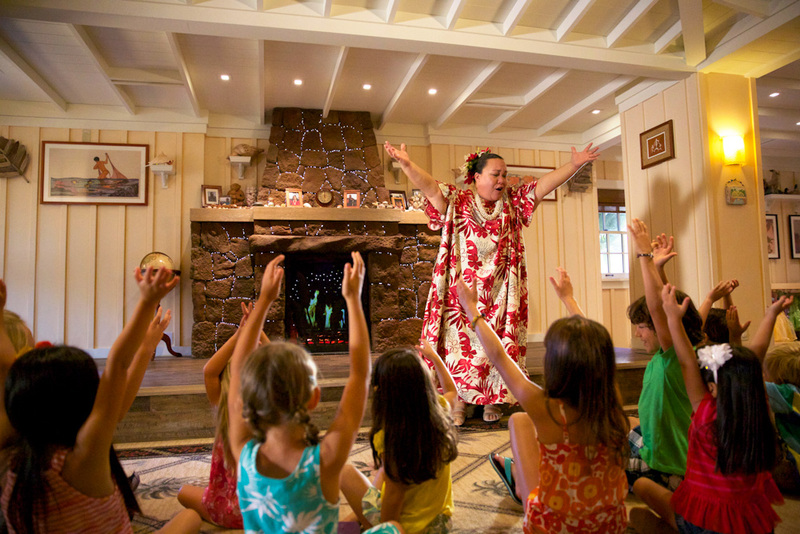 With a wide grin and open arms, Aunty is the heart and soul of Aunty’s Beach House, the kids’ club at Aulani. Aunty’s Beach House is set up like a big, cosy family home run by your absolute favourite aunt: there’s a movie room (showing Disney favourites), a costume closet, video games, a dreamscape backyard with things to climb on and space to run around, Hawaiian arts and crafts and endless laughter. A lifelong resident of O‘ahu, Aunty is considered an expert on Hawaiian culture – and fun. Along with her merry band of helpers (all this fun is supervised by Disney Youth Counselors who are all childcare professionals, with a secure check-in/check-out process), Aunty provides hours of activity and entertainment for kids aged from three to 12.